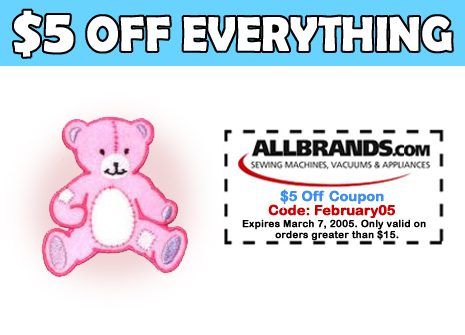 Use the coupon code: February05 to take $5 off your next purchase at AllBrands. Scroll down this e-mail for our specials. Click here to unsubscribe Send to Your Friends and Family!